Trained dogs eliminate crippling losses. 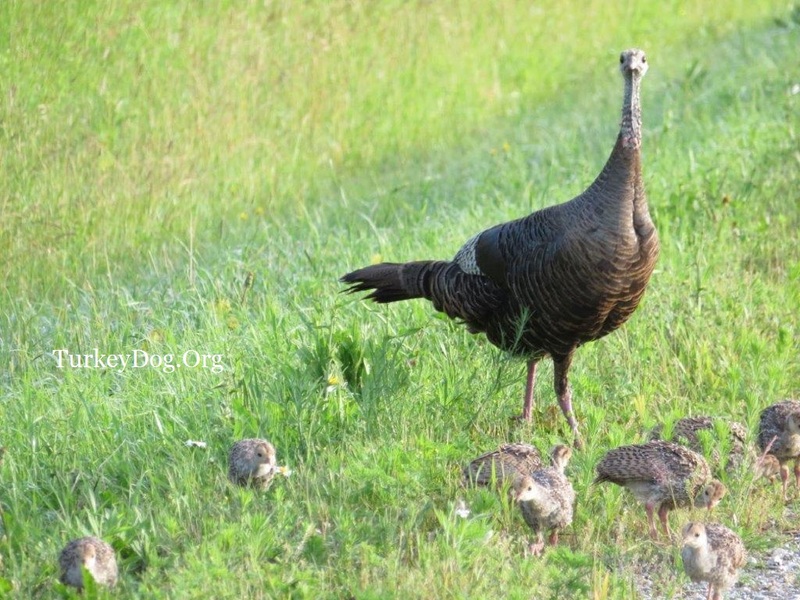 On average, 1 of 7 turkeys are wounded every Spring and not recovered. That's 160,000 turkeys (2006 numbers) nationwide (mostly gobblers), that'd be recovered, if the hunter had the aid of their dog. These states Montana, Nebraska, Utah, Tennessee and the provinces of British Columbia, Alberta and Ontario set a good example by allowing turkey hunters the use of their dog in the Spring. In those places, dogs prevent lost cripples in both the Fall AND in the Spring - the way it should be everywhere! "9% of the hunters responding to the survey (WI-DNR p.10) believed they hit a bird they were unable to retrieve in spring. By comparison, 16% of the hunters reported they hit a bird they were unable to retrieve in fall." This means on average, 1 out of 8 turkeys are wounded and not recovered! In just Wisconsin, for example, this amounts to approximately 6100 turkeys shot and not recovered in (2006 Spring harvest 46,662. Fall harvest 11,926 math). 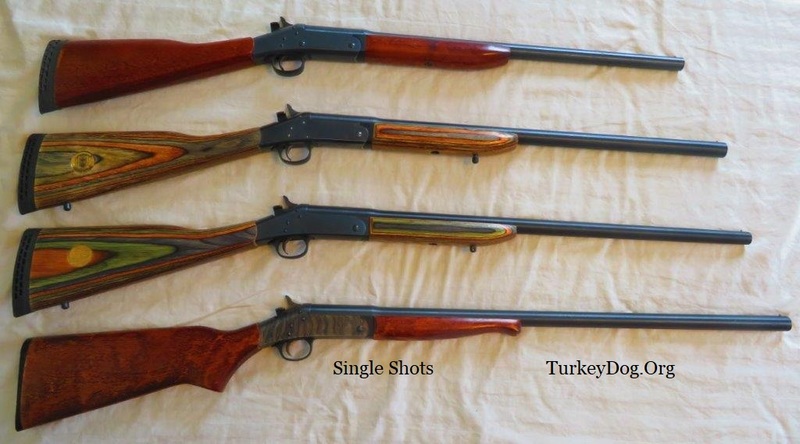 Virtually all of these would have been recovered, if the hunter had the assistance of a dog. Do we need any more reason to hunt turkey with a dog?! So in the Florida study, 35 turkeys were tagged, 18 were shot, 15 were killed, 12 were shot and retrieved, 3 were crippled/lost, and 3 'disappeared' (not counted). Whether it's 12.5% in one study (1 out of 8 in WI) or 20% in another (1 out of 5 in FL), that's a lot of birds. For estimating purposes, let's average it at 16%. Take any States known harvest and multiply it times .16 to estimate the number of birds killed, but not recovered, because the hunters lacked the aid of a dog. With an annual nationwide harvest of about 1 million birds in 2006 X .16 that equals roughly 160,000 birds, and the majority of them were gobblers. The time to change the rules is past due, dogs should be able to accompany hunters. Even untrained dogs kept on a leash until needed to retrieve a wounded bird would save thousands of birds a year from being lost. Undoubtedly, the best companion a turkey hunter can have is a well-trained dog. In most cases, an untrained dog would be more of a hindrance than a help. You wouldn't want a dog with you when you're calling the bird in, unless it is trained to know its part. But a dog trained to lie still while the bird is called in would be invaluable, and save one out of every 6 or 7 birds. Excerpted from The Wild Turkey and Its Hunting by Edward A. McIlhenny. Available from Real Turkeys. The best tool we have to conserve the wild turkey is hunting them in the fall with a well trained bird dog. Try it some time. First of all, the turkeys will get away and tire the dog out... then try to call them back when they just had the daylights scared out of them (it's not like calling love-sick spring gobblers)! The second best tool is the single shot gun. When you have to make that one shot count, it's widely accepted less game is wounded or crippled with a break-open or single action shotgun, than with multiple shot pump actions and semi-autos. Lighter to carry, safer handling and less expensive too. It takes lots of practice, to call them in close enough for open sights, with your dog by your side. 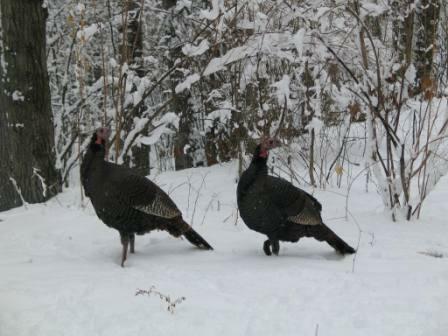 Q1: "It's not yet allowed in my State (AL, AZ, FL, IL, IN, MA, MN, MO, MS, NM, OK, RI, SD, WA) to hunt turkeys with dogs in the fall season. But often when my dog and I are small game hunting for rabbit, squirrel, grouse, pheasant, or woodcock, she flushes turkeys in the classic way that you describe. Even though I have the turkey license, stamp and permit, and the right choke and load for my shotgun, it's not allowed, so what should I do?" A1: It sounds like you have the makings of the perfect turkey dog. But since it's not yet allowed in your State, we recommend you do two things: #1, contact your local sportsman clubs and those who administer the hunting rules and regulations, and ask them how you can work to get it changed. And #2, teach your dog that it's not allowed using the following training method: If you got a good scatter, build a blind from native materials. Make the dog sit in the blind with your friend so they can watch for squirrels while they wait at least 50 yards behind you. If the turkeys return, shoot one, and now you can show the dog what she should never do. Tell her, "bad dog, now look what you've done, you went and got that turkey killed." That one time should teach her, but if it doesn't, go out with your friend who has their turkey permit, and if your dog scatters more turkeys, you'll have the perfect opportunity for more training, but this time you hold the dog and he does the shooting. Repeat as necessary until eventually either your dog understands, or they correct the rules, and you'll be able to hunt without a problem. 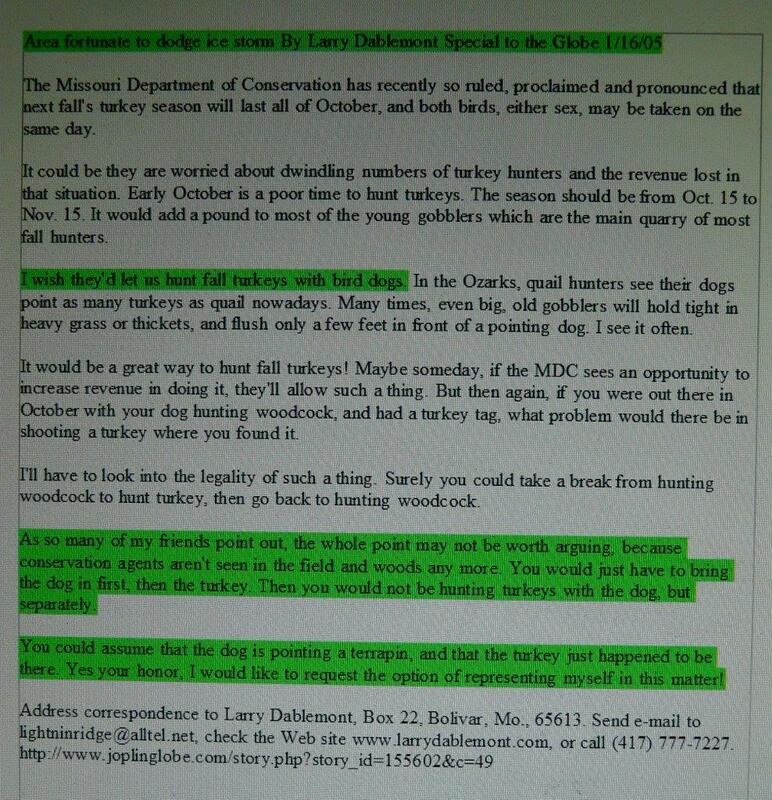 Every DNR wildlife biologist we talk to has no problem with fall turkey hunters using dogs. 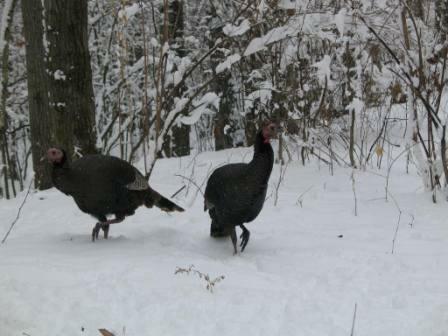 Hunters with valid turkey permits that enjoy hunting with their dog are most welcome to do so, it's fine with them. If you have a valid permit, what would it matter, if you use a trained giraffe to knock a turkey out of a tree? The illogical technicality is unenforced. So, until the rule gets changed in your state, enjoy squirrel hunting with your turkey dog. Or your turkey giraffe! 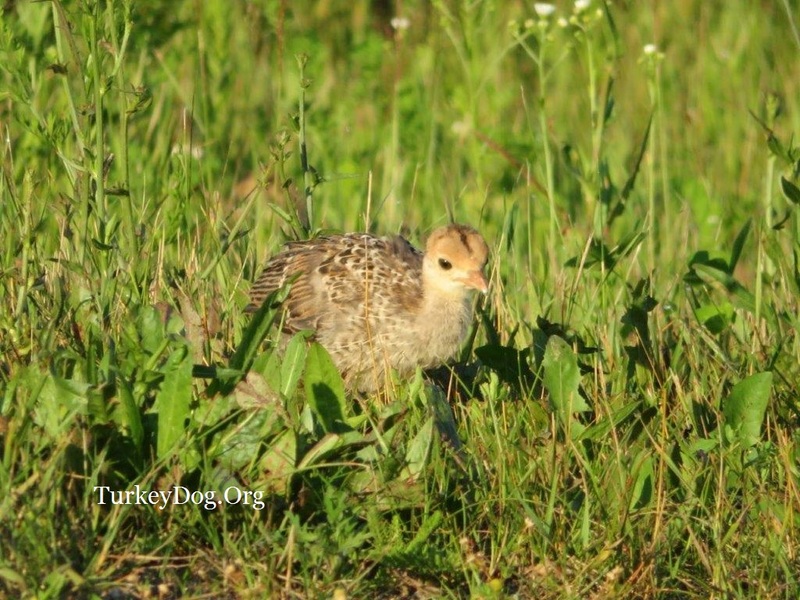 As wildlife biologist Jim Evrard wrote in the Wisconsin Outdoor News print edition March 10, 2006: "In my opinion, there are people who simply oppose the use of turkey hunting dogs because it represents change. I heard the same opposition against extending turkey hunting to the afternoon and to most changes in turkey hunting regulations. 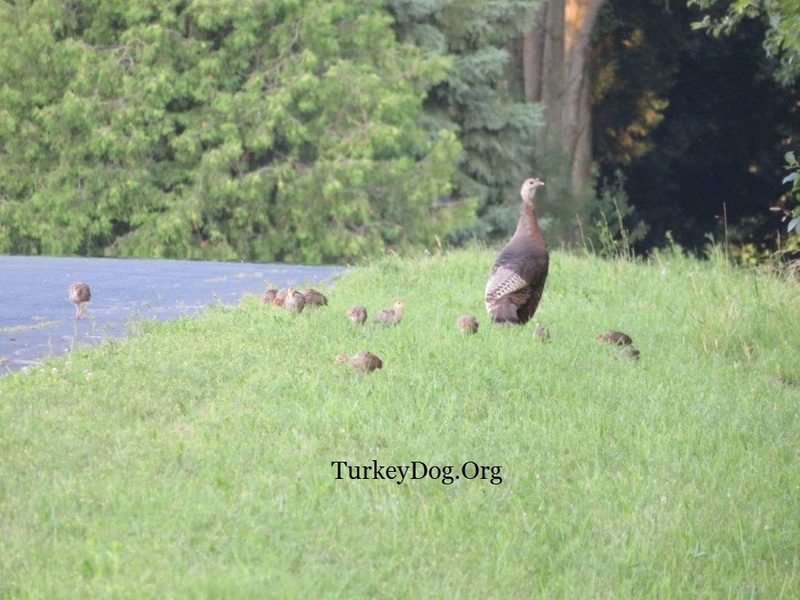 Like the crow and dove season, I believe fall turkey hunting with dogs will be a non-issue, since few hunters will participate and no damage will be done to the wildlife resource." Q2: "I heard that turkey hunters using dogs shoot at flushing turkeys in the fall and wound them. I don't know about shooting at flying turkeys, what do you think?" A2: It's no different than shooting flying geese or ducks, or woodcock taking off through the alders. You don't need a dog to shoot a flying turkey, anyone can shoot flushing turkeys now. It's an individual decision, and your training will tell you whether to shoot or not. Flushing turkeys are most vunerable when their wings are open, but you don't want a breast full of shot. How hard they are to kill depends on several factors. Turkeys will sometimes hold tight, and you can kill them when they flush with a headshot at close range with #6's and a modified choke. If they flush upwind their escape is slow, and offer a n excellent shot; versus downwind, when they might be gone too fast to shoot. You be the judge. But with your dog effectively scattering the gang, you can pass on the marginal shots, let them fly away, and call them back. Then you're in for the most exciting turkey hunting experience there is, and you're guaranteed a much better shot. Since you most likely have only one fall turkey permit, and many days to fill it, there's no hurry to shoot a flushing turkey. The best method is; if you got a good scatter, set up a rough blind of native materials and call them back. Another option might be for the grouse and pheasant hunters to continue their hunt, while others stay and call to the turkeys. If you anticipate you might find turkeys when you're out pheasant or grouse hunting, take along a hand snipper for cutting brush, a comfortable seat, your call, an extra full choke and magnum loads, and you're set for some exciting action. And if you would accidently wound the turkey, having a dog is absolutely the best insurance for retreiving the bird that there is. Deadeye says: "I get puzzled when people question shooting a flying turkey. A lot of spring birds get shot flying. And if you haven't experienced it just keep on hunting. I guarantee, more turkeys are lost in the spring then in the fall, because a good turkey dog will find yours in the fall. Most time a spring hunter doesn't have a dog anyway and those turkeys surely get away. Does that mean we have to stop spring hunting now?" Q3: "I want to train my dog for turkey, but some people say using dogs to hunt turkeys is an unfair advantage. Is that true?" A3: While we might actually consider them a handicap until properly trained, using dogs to hunt turkey is no different than hunting quail, duck, goose, partridge, dove, pheasant, grouse, or woodcock. Training your bird-dog guarantees to improve every day afield. And eventually a good bird dog will train you how to hunt turkey. In Missouri hunters train their mule to hunt turkey with. If they can run a mule through the woods chasing turkeys without getting themselves killed, good for them. The same goes for dogs. If you can train your dog to hunt turkey (and not deer, squirrel, or any of the other distractions) you've done good! Read the Llewellins for a better explanation. Q4: "Some archer friends say turkey dogs will ruin their deer hunting. Is that true?" A4: Turkey dogs don't chase deer. And hunters with a permit to bag one turkey with their dog isn't a concern for bowhunters. Right now hunters with dogs can harvest many grouse, pheasant or woodcock, but a turkey hunter can usually only harvest one bird. We want it as quiet in the woods as everyone else. Honest sportsman don't deny others the enjoyment of their sport. We're taught from young on, if someone else is hunting there, don't go near and ruin it for them. We've all been taught to respect and support other hunters, don’t interfere with other hunters experiences, and support everyone’s right to hunt. "There are already folks who have reason to be in the woods with dogs at that time of year. Archers have several weeks of hunting opportunity and the chances of an individual archer being disturbed by this are minimal. Archers hunting public land have the greatest chance for disturbance; but allowing turkey dogs would not significantly affect their already greater chances of hunt disturbance. Besides, activity in the woods may keep deer moving. All of us would like to have the woods to ourselves, but that does not give any group the right or reason to exclude another. I think any issue raised by archers will be perceived as an eliteist viewpoint. I like to bowhunt, though I would not classify myself as a rabid archer. As a moderate archer, I cannot justify excluding turkey hunters with dogs. I cannot tell you how many times I have eased up on rutting deer close enough to kill with an arrow while fall turkey hunting. Those animals were undisturbed by my presence as were any nearby archers. Sure, dogs cover alot more ground, but turkey dog trainers are going to be careful to discourage deer scenting and chasing, believe me." Deadeye says: "A turkey dog is going to hunt with his master, just like a bird, grouse, or squirrel dog does. There is no more or less disturbance to a bow hunter if any of these hunters walked through the same woods they were bow hunting in, with or without the dog." Q5: "The turkeys around here used to be real vocal, but since I heard dogs running in the woods, it seems the turkeys are silent." 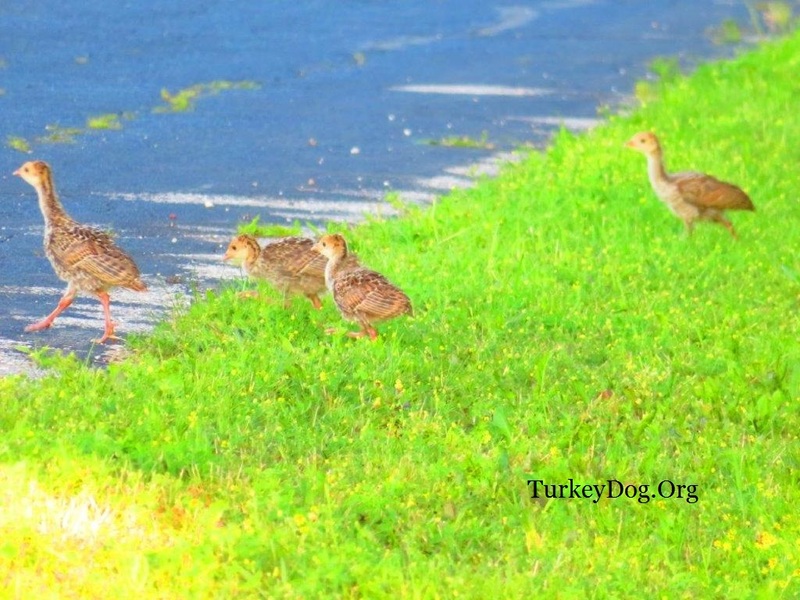 A5: Turkey dogs hunt silently until they break the flock. Those stories originate from the South, where deer hunting with dogs is allowed (see Virginia county map where deer hunting with a dog is allowed). 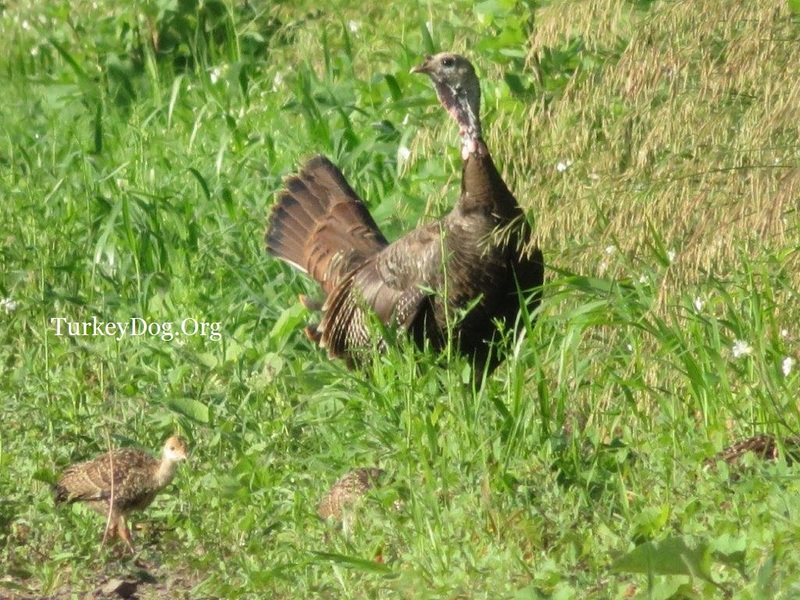 Deadeye: "I just remembered from a turkey workshop I attended a few years back (in VA) that the number one complaint from spring turkey hunters was running dogs. They could be deer hounds or wild dogs. Evidently people take for granted that a turkey dog is a running dog instead of a flushing dog. Thus all the misconceptions." There's a few other misconceptions about turkey hunting with dogs. Some people even picture dogs baying at lions or bears. They have the game surrounded, until the dogs move in for the kill. That's a ridiculous thought. A fairer comparison would be the upland bird dog that dearly loves the birds they pursue. Deadeye Barham explains it very well on Magnum's page, and also on Zeke's page. Q6: I've had bird dogs all my life and every fall travelled to South Dakota. Recently I read where there are only 3.5 pheasants per square mile in SD. Where I live in Wisconsin's Zone 3, with ~2 pheasants/sq. 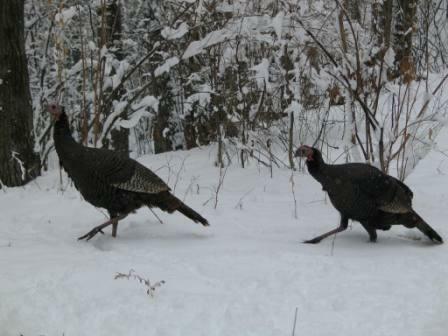 mile (pdf), there must be 20 to 100 turkeys per square mile or more plus a few ruffed grouse. I understand it might take a fall turkey hunter with a dog several days of hunting to scatter and call back a turkey, versus my dog having more opportunity on planted pheasants at the local game farm (since there's so few 'native' birds left). I did some ciphering: while a pheasant weighs 2 or 3 pounds, one fall turkey weighs 10 to 25 pounds. As far as being economical with only taking one shot for a native organic bird, I'm considering training my dog for turkey. But will my bird dog still hunt the little birds? I figure I'd save $500 to $1000 in gas, motel rooms and shotshells too. Is there something I'm missing? A6: You're on the right track. While it can take longer to kill a turkey than a pheasant, the main point is you're out in the field with your dog. Your dog just wants to spend time with you. A bird dog is happy hunting squirrels, if that's what you show you're interested in. Your figuring is correct, while your expenses will be much less, you'll be spending more time afield. Your dog will surprise you with their understanding of what technique to use on which bird, once you show them how it works. The only reason they don't, is an owner telling the dog to not bark, or to not flush those big birds. Once they realize it's okay to scatter the turkeys and you're able to call one in and shoot it, your dog will 'get it' and the learning curve goes up in direct proportion to the number of times you get out. While turkey hunting with a dog is a little different than pheasant or grouse hunting with a dog, it's all enjoyable and rewarding for you and your dog. You'll hunt more, with less expense. And don't worry about ruining the dog for other upland birds, that is so innate in their genetics, the next time they encounter a pheasant or grouse, be ready. Walk with #6 - modified choke in your gun. When you sit down to call turkeys in, switch the choke to full or extra-full. Join the club - the book has many other tips on how to train your bird dog for hunting fall turkey.